A shiny sunrise danced its way into my kitchen, and the morning felt clean and untouched as it always does at 8am. With kittens stretching at my feet, ideas and plans for the work day buzzing through my head, my body in need of fuel, it was the perfect time to blend a yummy smoothie. Cut to a few minutes later. Me. Standing in my kitchen, chugging the last few drops of my Green Dream Smoothie, straight from my Vitamix container. 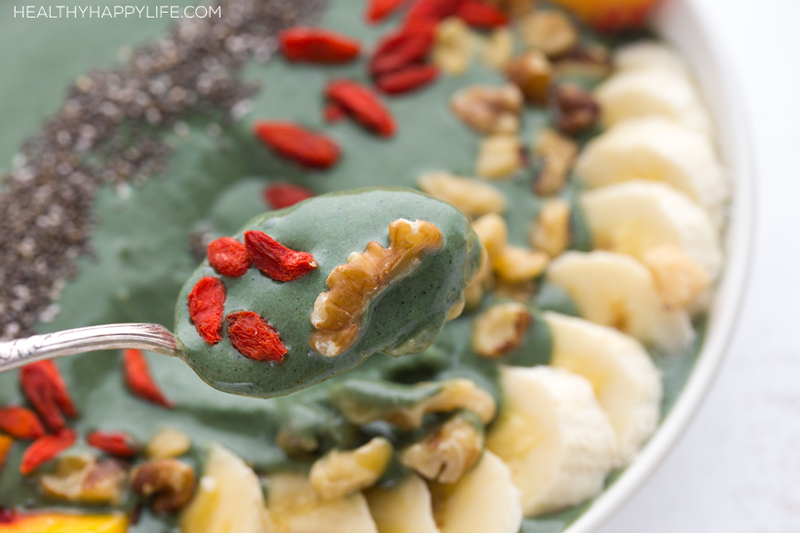 I could not get enough of the vibrant spirulina, smoky mesquite, protein-rich hemp, fiber-ful chia seeds, butterscotch-y maca and alluring sweet vanilla - laced in between creamy banana flavor. This is how I always want to fuel my day. Hungry for wellness-infused ingredients, chugging my smoothie - and life - until the last drop. Craving every sip, craving every day. ..Oh why yes, smoothies = metaphors for life. 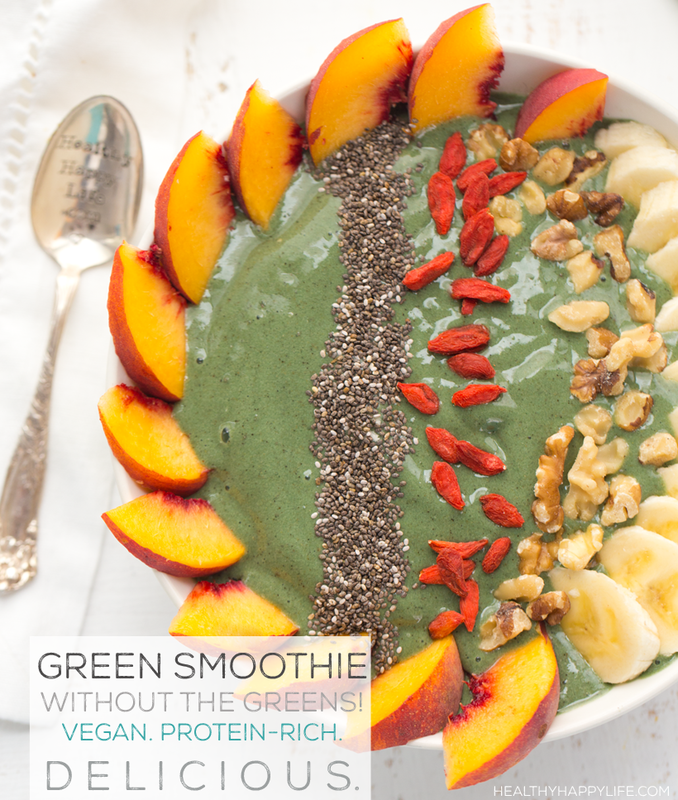 So put a Green Dream boost in your step, with today's recipe!.. Despite their rampant press coverage, I know many of you are not making green smoothies on a regular basis. For a number of good reasons. - You do not always have enough leafy greens on hand for blending and for other daily recipes like salads and such. Well it is possible to have a "green smoothie" without the actual leafy greens. The ingredient I use: spirulina. 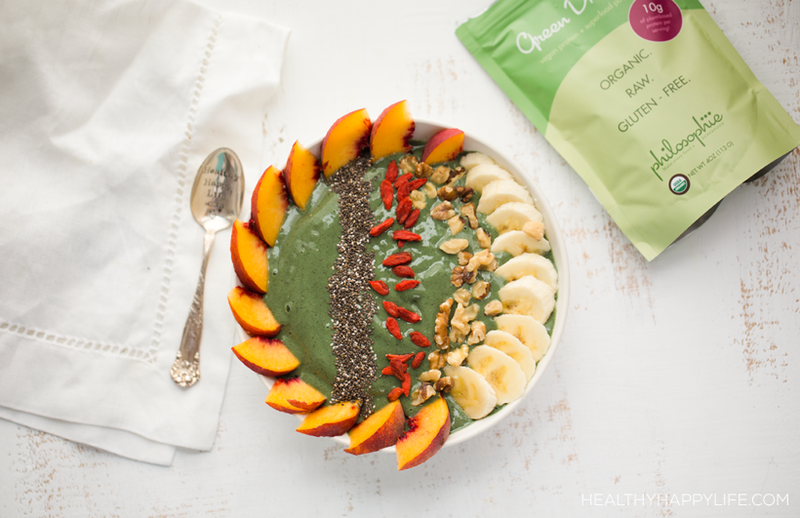 The product I use to make sure it tastes good: Green Dream smoothie powder by Philosophie. I feature Philosophie as one of my fave picks in my BIG Vegan Protein Powder Guide. My friend Sophie, the founder of Philosophie, is a mom. Wellness expert. Yogi. Entrepreneur. Wife. Go-getter. Shiny soul. Magical friend. And overall super woman. 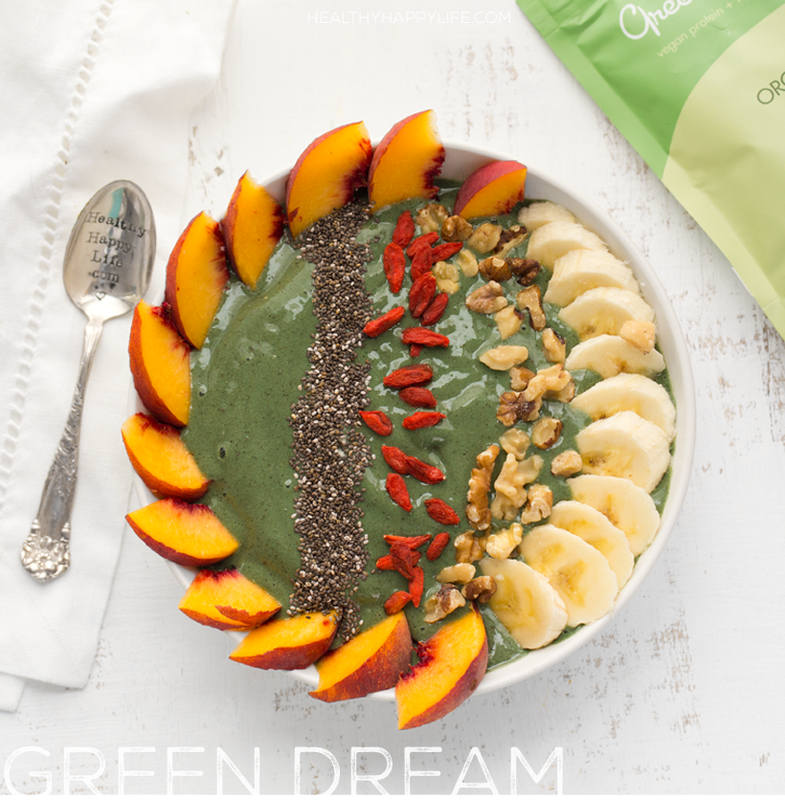 She created Green Dream so she could share these superfoods with the world. With you! Sophie's products are filled with Sophie-energy. How can I describe that energy? Well, her spirit was on full display a few weeks ago, when she lead a beach yoga class for the Sweet Green restaurant launch in Santa Monica. That morning, Sophie lead a cluster of women on a busy, sun-drenched beach right near the Pier. As we did our last "down dogs" and took our last breaths for class, closing our eyes - using towels and T-shirts to shield our faces from the boiling sun, Sophie skipped around whispering words of encouragement and spritzing some cool, magical aromatherapy tonic on us. Pure Sophie. From our smoothie picnic to yours!.. Cacao Magic: Chocolate gone wellness. So good served hot or cold with a rich cacao flavor. Berry Bliss: Light and lovely, rich in antioxidants like vitamin C, lovely berry flavor. Green Dream: Smoky and alluring with spirulina greens and a maca-vanilla accent. Check out Sophie's website and if you feel inspired, try her products - you can get 10% off with code LunchboxLove. And with every smoothie sip you take, you will feel pretty awesome for supporting a small business. And there is a swirl of Sophie love in each sip too. Blended in my Vitamix of course. Use my Vitamix link and get FREE SHIPPING! 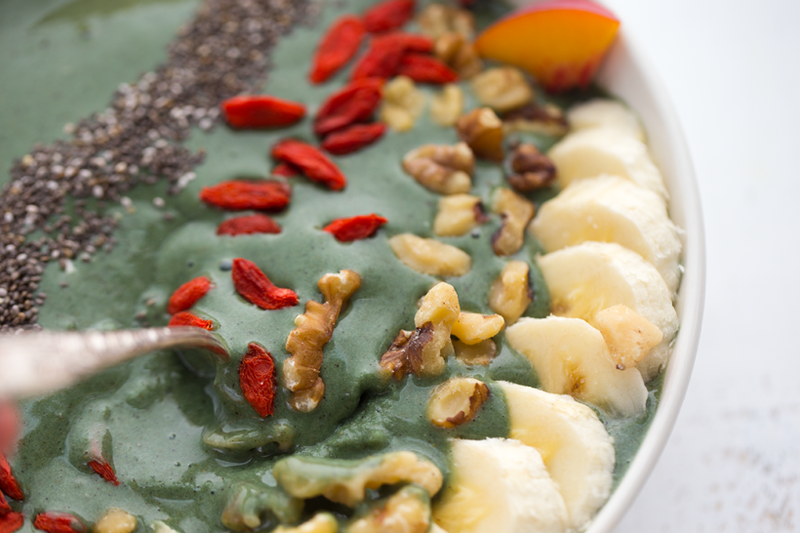 A frosty, creamy and sweet banana-green smoothie is the base for this super healthy bowl. 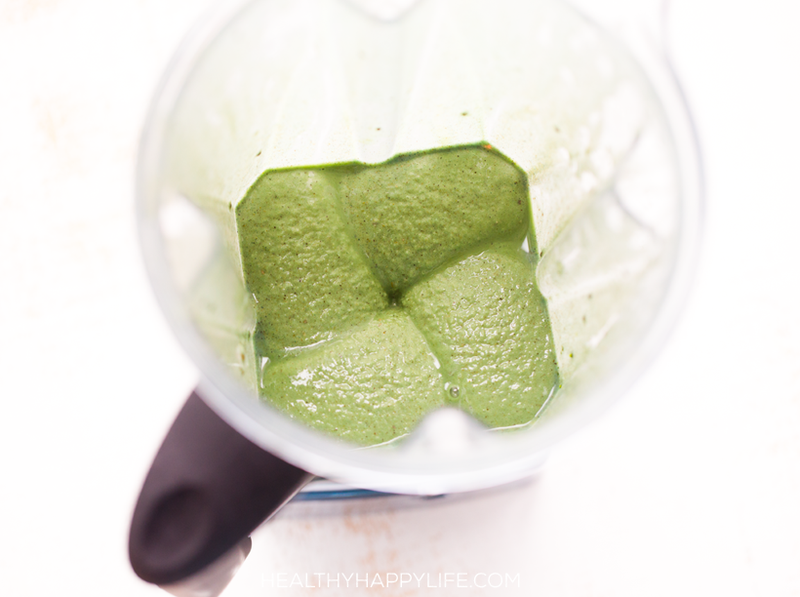 Blend the green smoothie until frosty and smooth. Using a high speed blender (like a Vitamix) works best for a thick blend, but a regular blender will work. 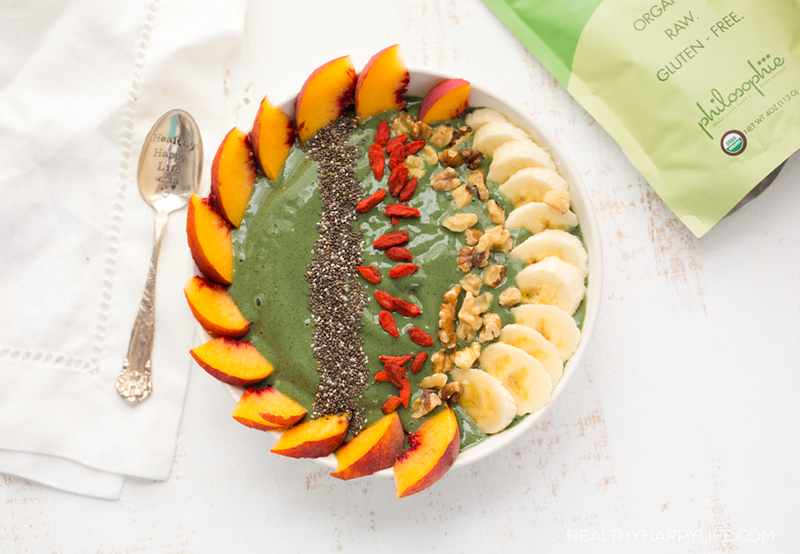 Pour green smoothie into a serving bowl. Add toppings on top and serve! 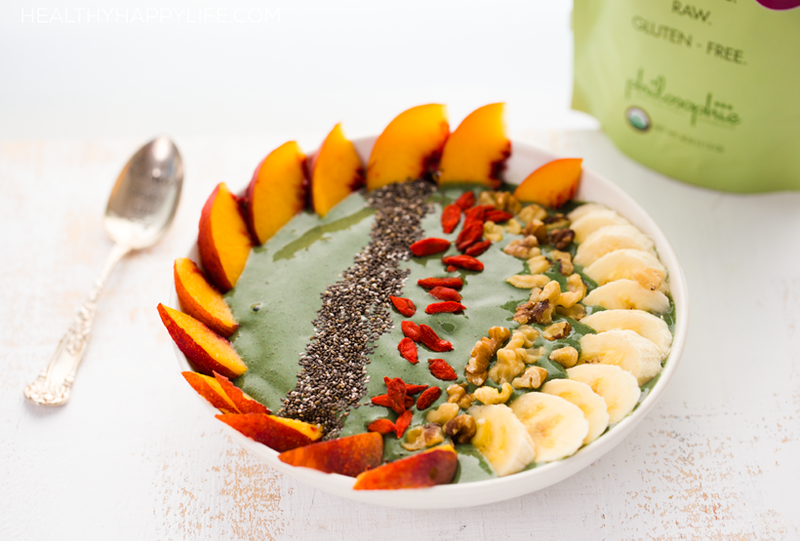 Read this post for smoothie bowl tips! Vegan actress Victoria Summer, love her! Hanging out with friends Tricia and Cat at ExpoWest..
Want more smoothie bowl inspiration? 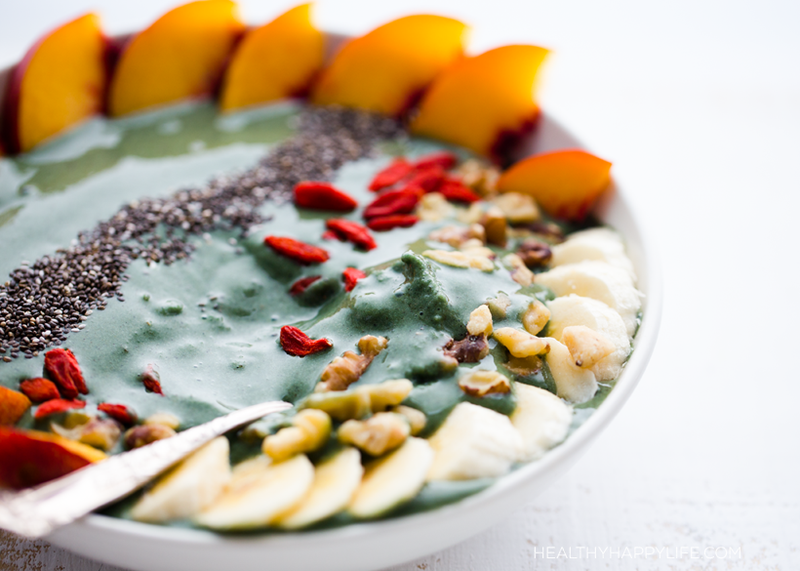 Check out my Smoothie Bowl How-To + video!